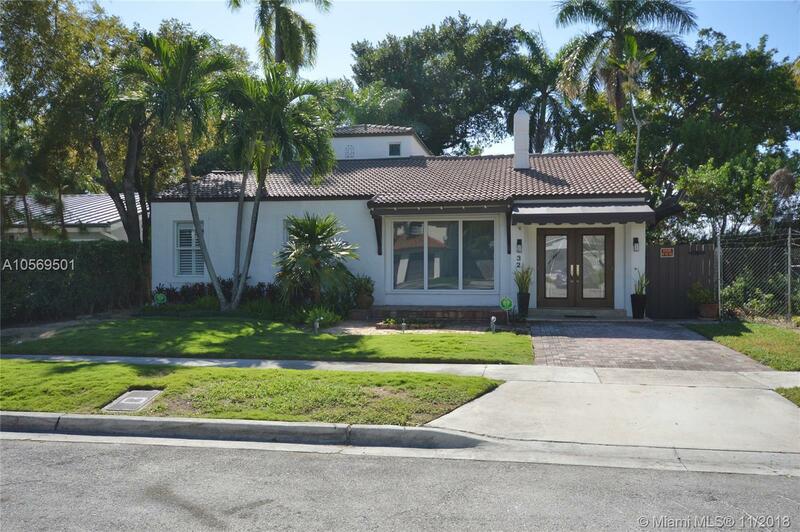 Charming house on the South Miami Avenue side of the Roads, surrounded by million dollar properties. Located on a dead-end street, this 2/2.5 house can easily become a 3/3 with minor modifications. Lovingly updated, this house features impact windows and doors, newer kitchen and bathrooms, and lots of closet space. Spectacular location. The heated pool is located within super-private totally fenced backyard, making it your own oasis. Gorgeous solid wood floors throughout. Living area is estimated, as additions were never added to the tax roll. Master bedroom is located on the first floor. Second floor currently has guest room/office with Murphy bed and full bathroom. This house offers a great value. Shown by appointment only.